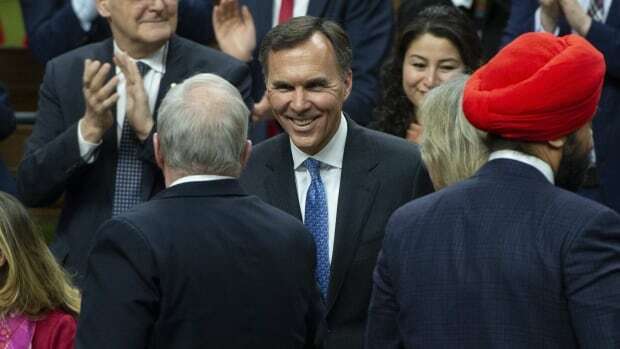 “The most important promise we made to Canadians was to invest in their future,” Morneau replied when asked why the government was choosing to run deficits into the foreseeable future. “I hope Canadians will look at what we’ve done since the beginning, to make investments in me and my family,” he said to another question about what Canadians should take from this budget. Underlying everything Morneau said, and every new measure he put in the budget, is a gnawing fear that Canadians may not feel any better off than they did four years ago in ending a decade of Conservative governments. Morneau talked about that sense of anxiety even as he rang off the strong job growth numbers, how 54 per cent of those new jobs went to women. He mentioned it as he spoke about the biggest wage jump in a decade last year, and that Canada continues to lead the other G7 countries in economic growth. “If you are a young person still struggling to find meaningful work, a low unemployment rate probably doesn’t mean that much,” he said in the speech that nobody heard. New Democrats called the budget a wasted opportunity. Party Leader Jagmeet Singh said Canadians can’t wait for the measures outline in the budget that are spread out over five years, or won’t kick in until after the election. He said the NDP would bring in a national pharmacare plan now to ensure no one goes without the medications they need. The NDP would spend now to build more affordable housing, not sometime down the road. “This government doesn’t have anything in this budget to build new affordable housing, nothing in this budget to address co-operative housing, or non market housing, instead they are offering people to use their RRSPs to buy their home,” he told reporters. “Mr. Trudeau’s plan is obvious. Massive deficits to distract Canadians from his corruption before the election. Massive tax hikes to pay for them after the election,” he said. An election may still be six months away. The campaigning is already well under way.